Most players use the off-season as a chance to take their mind off football – not Archie Smith. Free of modern distractions as he holidayed in the tranquil Bali town of Ubud, the 23-year-old used his spare time to reflect on a 2018 season of learning and ponder what he hoped would be a 2019 season of promise. Smith wants to return to Senior football but knows it's a hard road. After Chris Fagan declared the top ruck job up for grabs before last season, it was Stef Martin who rose to the top having a career-best year with the rookie-listed Oscar McInerney playing as his primary foil up forward. Smith was left on the sidelines playing NEAFL. “I think Fages opening up the ruck role in pre-season last year had a similar effect on me as it did to Stef,” Smith told lions.com.au recently after a mid-week gym session. “It translated into my form in the NEAFL and you can see for Oscar as well, Oscar did an incredible job in that forward role and assisting Stef in the ruck. "I feel like the three of us, we all got better as footballers but I wasn’t able to push them out of the side, that’s just how it is in professional sports." As the season wrapped up and players headed off on holiday, the motivation to keep improving was never far from Smith's mind as he anticipated a return to pre-season training. “It’s been good because I’m going into a year that, I don’t want to say is make or break, but I’m just so hungry. I can’t explain the hunger that I have to take the next step,” Smith said. “In a way, you can look at last year with the lack of Senior games, but statistically as a player it was my most consistent year of footy and I played the best footy that I’ve played in my time here. “The motivation from last year, even though I felt like I was better as a footballer, I still am pushing for Senior football. "So, this year I kind of made sure I attacked the off-season and trained really hard, in good enough shape to play some good footy. “I’m feeling the fittest that I’ve been in my time here and I’ve put on some size as well. When Smith last played Senior football, in Round 16, 2017, he was one of eight players who were 21 or under. 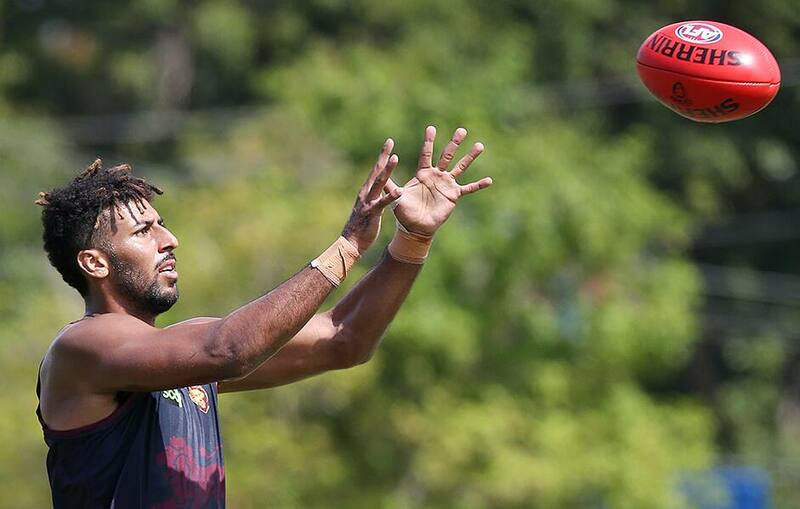 Since then he has watched on as his young teammates from that day – Hugh McCluggage, Jarrod Berry, Alex Witherden, Harris Andrews, Eric Hipwood and Rhys Mathieson - have cemented their place in the side’s best 22. “It’s easy to think that you’re alone sometimes in this position but you’re not, there’s guys around the league like Reilly O'Brien who have been there the same time and only played two AFL games," Smith said. "Braydon Preuss has only played eight, and we got drafted at the same time. “I’m very analytical, I can probably tell you every ruckman on every list. Preuss, a fellow Queenslander, is somewhat of a confidant to Smith, having similarly played the majority of his games in 2017 and missing out in 2018. “I think he’s a really good bloke. I played under 18’s with him as well and I keep in touch with him every now and again," Smith said. Young ruckmen have never faced a tougher time in the game, often sitting behind first-choice big men as teams opt to play rucks one-out. Smith conceded that sometimes it was a patience game. "There’s kind of a whole new crop of us waiting in the wings," he said. "Stef Martin was waiting in the wings, then Max Gawn was waiting in the wings. "In the next few years there’s a bunch of us all after the same goal. So what does 2019 have in store for Smith? “It’s pretty simple, I just want to be a better player than I was the year before. I started the game at 18 and I’ve come a hell of a long way and I don’t plan on giving up now," Smith said. "I’m still working incredibly hard and ready to go." As November turns into December and the real slog of the off-season begins, Smith knows he is up for the battle to become king of the ruck jungle.